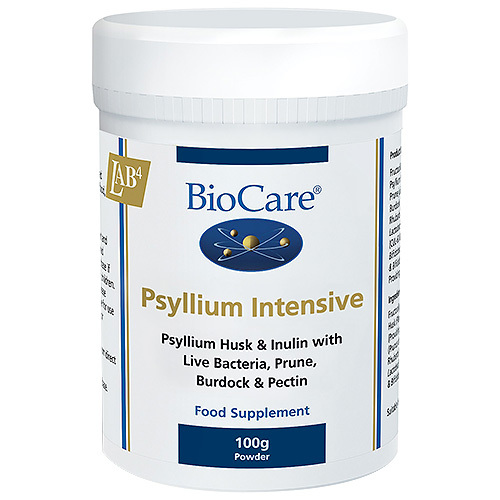 BioCare Psyllium Intensive Gut Cleansing Powder with Psyllium Husk, Inulin, Live Bacteria, Prune, Burdock & Pectin which readily absorbs water and other substances to cleanse and support natural motility in the intestine. 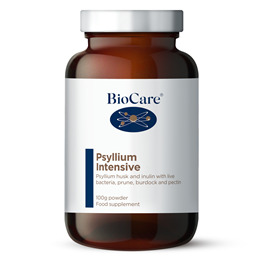 Psyllium Intensive is a new powder combining BioCare’s proprietary LAB4 probiotic bacteria with psyllium husk fibre, fructooligosaccharides (FOS), and cleansing plant extracts. Psyllium is a natural bulking agent which readily absorbs water and other substances, whilst the probiotics present in LAB4, together with the FOS, promote levels of good bacteria in the gut. Burdock and freeze-dried prune juice help to cleanse and support natural motility in the intestine. Psyllium Intensive powder mixes with water into a pleasant tasting drink and is designed to be used over a 10 day period to help maintain a healthy digestive tract. FOS is a natural fibre that acts as a bulking agent in the intestines and provides a specific food source supporting the growth of friendly bacteria. Psyllium husk is known to have natural cleansing properties and acts as a bulking agent in the bowel. 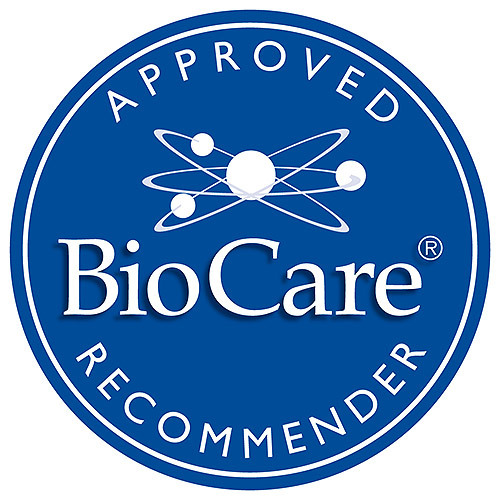 Burdock has natural cleansing and purifying properties. Psyllium Husk (Plantago ovata Husks), Fructooligosaccharides (Cichorium intybus Root), Inulin (Cichorium intybus Root), Corn Maltodextrin, Prune Juice Powder (Prunus domestica Fruit), Burdock (Arctium lappa Root), Pectin (Malus sp. Fruit), Citric Acid, Lactobacillus acidophilus, Bifidobacterium bifidum & Bifidobacterium lactis. One heaped scoop (approx 10g) mixed into 200ml water and taken daily with food, or as professionally directed. Below are reviews of Psyllium Intensive - Gut Cleansing Powder - 100g by bodykind customers. If you have tried this product we'd love to hear what you think so please leave a review.